The Alpes-Maritimes lies in the most south-easterly point in France and is an extremely wealthy department. It has a typical Riviera feel to it combined with a strong Italian influence. Nice is the departmental capital and is considered the unofficial capital of the French Riviera as well. It's a fun and relaxing city with a very young population. The beaches are clean and well looked after, albeit more pebbly than sandy. Slightly up the coastline you will find the tiny tax haven state of Monaco covering an area of just 1.9km. It has a population of 30,000 of which only 5,000 are actually native Monegasques. You won't have to worry about buying a new phrasebook, as the official language is French, although Monegasque is widely used on street signs. Monaco is outside the EU, but has made an agreement with the French government meaning that you won't have to queue up at any borders to get in. Further up the coast, just before the Italian border you will find the city of Menton. This is a very popular place to retire and enjoys a slower pace of life when compared to the rest of the Mediterranean coast. Unlike the cities around it, Menton has a sandy shoreline. An annual lemon festival takes place here. Nearby, you will come across Isola 2000, a man made ski resort offering the hottest skiing in the country. 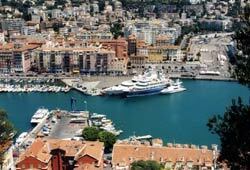 Near the southern end of the Alpes-Maritimes coastline you will find the prosperous economic heart of the department. Sophia Antipolis, with its high tech industries, has been dubbed France's Silicon Valley. Meanwhile, Cannes, in the southern end of the department, has been rated the most pleasant place to live in France by Le Point magazine. Just be prepared for the arrival of the world's media every year while the film festival is on. Slightly inland you will come across Grasse, France's perfume capital and also the wealthiest city outside the Ile De France. To the south-east is Cagnes-sur-Mer which is famous for its horse racing. Nice Airport offers numerous direct flights to/from the UK. Rail Europe also operates a train service from the UK to Nice. Property is very expensive throughout the department, although it gets cheaper inland. One of the main reasons people buy property here is to let it out and try and get a return on their investment. 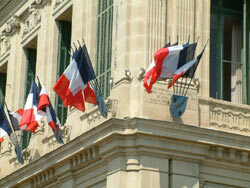 The rental market, particularly in Cannes, is very strong all year round. Prices of rental properties here rise year on year. Do you know Alpes-Maritimes better than we do? Do you have photos of Alpes-Maritimes?